Today is Gary Gygax Day, celebrating the life and legacy of the “Father of Role-Playing Games” Gary Gygax. He was born on this day in 1938 and passed on March 4, 2008 (a different holiday altogether: GM’s Day). 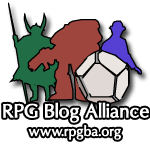 Anyone reading this blog who plays almost any kind of game with their friends around a table (even if that table is on the internet) where they pretend, even for a moment, that they are someone else owes the ability to do that to Mr. Gygax. Earlier this year, I got to attend GaryCon and meet many of his family members and sit around some amazing tables with his friends, co-workers and other fellow devotees like myself. It’s probably no surprise that tickets for next year’s GaryCon go on sale in the next couple days. It’s also probably no surprise that his son, E. Gary Gygax, will be launching a Kickstarter for a truly “old school” project today as well: The Hobby Shop Dungeon. Thanks, Gary, your imagination lives on! It’s been a few years since my last summer reading book report, but then it’s been a few years since Ernest Cline came out with a new book. I recently finished reading Armada, his latest novel, and it makes for a great summer read. 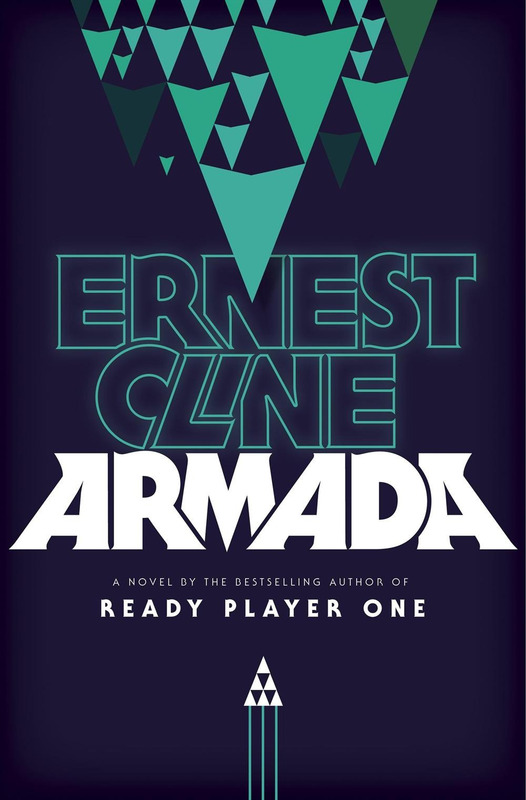 For fans of his first book, Ready Player One, Armada follows a similar formula. Perhaps too familiar? There are a ton of pop culture references that seem… unlikely given the timeline of the book. Set in the modern day, Zack Lightman grows up in dead father’s shadow, and is searching for a way to connect with him. He goes through his old stuff in the attic, which includes a retro video game collection, D&D books, mix tapes and journals about a conspiracy that video games and sci-fi and space movies since Star Wars have actually been funded by the government to train the next generation of soldiers to repel an alien invasion. It’s a fun book, and definitely doesn’t take itself too seriously. In the first act, the barrage of pop culture references seemed a bit much, but it mellows out in the second and third act, and will make one heck of a movie. Cline does well to right from a high school senior’s point of view, all the while having him look back at his dad’s retro games and music to appeal to a larger target audience. I can’t tell if the retro mix tape (including track listing at the back) is a huge nod to Guardians of the Galaxy, or a rip off, but either way, for some reason futuristic combat set to classic tunes just *works*. The inside of the dust jacket is also the blueprints for the main space fighter used throughout the book. If there is one thing that will get me to buy a book its an awesome map, or possibly blueprints. Next up, I’ve been reading some retro books of my own! I bought these used through Amazon’s various resellers in anticipation of the release of the 3rd edition of Mutant Chronicles: In Lunacy, Frenzy, and Dementia, sometimes referred to as The Apostle of Insanity trilogy. Interestingly, these were all written by different authors. Much like the Dragonlance and Forgotten Realms D&D novels of about the same era, they were published to give more context and material for role players to explore the game with a rich backdrop. I read all of these when they originally came out in the mid 90s. Re-reading the first one (so far) has been a fun and quick summer read. 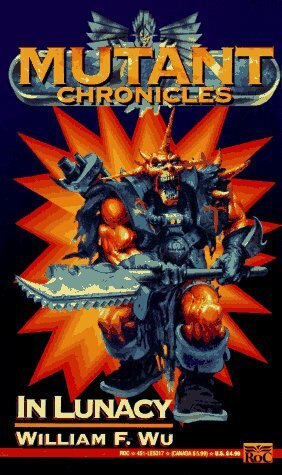 For those unfamiliar with the Mutant Chronicles world, it is set about 500 years in the future. Countries and Corporations have blended to the point that they are inseparable and humanity has colonized the solar system, led by the 5 megacorporations. In the quest for exploration and more territory, humanity made contact with the Dark Legion, a malevolent force that seeks to corrupt and twist technology in their conquest of the universe. The plot of In Lunacy revolves around Luna (the moon) which serves as a galactic Switzerland for the megacorporations. Each megacorp has a presence in Luna, and there are lots of ex-military freelancers who engage in industrial espionage, sabotage, and other odd-jobs for the highest bidder. A group of these freelancers are brought together by rumors the Dark Legion has a presence in the city, and are after a mystic from the Brotherhood, that may be able to see the future. It reads much like a classic RPG adventure. The main characters all come from different megacorp backgrounds, and come together to battle an alien threat. All this in anticipation of the 3rd edition of the Mutant Chronicles RPG, and source books by Modiphius. I always enjoyed the setting, growing up, and am eager to dive back in, now that I have a lot more RPG experience. If you are looking for some fun sci-fi summer reads, these will certainly fit the bill. Almost six months ago Paizo released a new ‘mode’ for players in its Organized Play program. This Core Campaign, as it was called, only allowed the resources of the Core Rulebook of the Pathfinder Roleplaying Game. This new mode of play did a couple of things for Paizo’s Organized Play program. First, it allowed new players to join and not be overwhelmed and needing all of the options of the Classic Campaign. New players keep Organized Play fresh with new perspectives and, of course, money. As some veteran players leave because they are bored or for greener pastures with other RPG systems, new players inevitably make the switch to the Classic Campaign and buy new source materials (books, PDFs, etc.) to use for their characters. Secondly, it allows veteran players to replay scenarios and modules that they have already completed for credit once more. With the Core Campaign’s limitations on player options, veteran players seem to also use this opportunity for a challenge. Since many of the more recent scenarios are created to challenge those playing in the Classic Campaign (who have options galore), Core characters are challenged even more. As a proponent of the Core Campaign, we have been building a consistent player base in town that consists of both veteran and new players. Before the Core Campaign came along, it seemed harder to get players to come but ever since the release of Core, the growth that we have had at our FLGS has been consistent. 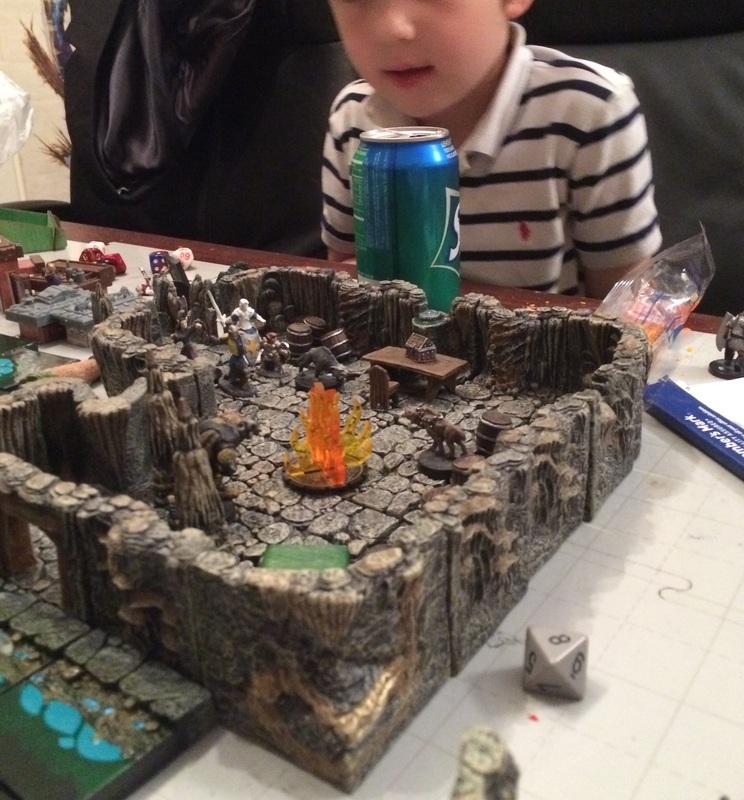 It has been good to our players as it has allowed organizers to form cohesive story lines from modules and scenarios instead of the popular question asked every week “Have you played this yet?” The smattering of scenarios fractures the multiple story lines into tiny bits and the majority of the time players do not recognize them. The Core Campaign takes care of that. With Core being new (sort of), we wanted to know what players were thinking and doing. We wanted to know what classes and races players preferred, what attributes, skills and feats were most important to them and what piece of equipment is a must-have. With almost sixty responses and an eighty-percent completion rate, we found out what players were trying to do; survive and adapt. Judging from this data, we found that players are definitely trying to survive as long as they can, which makes sense because Organized Play does not operate like home games where you can usually swap out characters due to death. Clerics heal with spells and channeled energy while providing, most times, versatility within the party, depending on their deity’s domains. Wizards were close behind due to the versatility provided by their spell books. Players want more hit points, denoted by their choice of higher constitution scores and the Toughness feat. Perception was, by far, the most important skill, keeping enemies from getting the drop on players. Humans were the most popular choice for race. This is most likely due to their bonus feat and extra skill points, giving something extra over and beyond regular class abilities. The market for cloaks of resistance is strong as they provide the only real boost to a character’s saves, while wands of cure light wounds provide an extra healing element easily available to parties and alchemist’s fire is an effective tool to deal with those dreadful swarms. Survivability and versatility is the name of this game. So what kind of character are players shying away from? A half-elf monk with a higher wisdom score! All three of those elements of a character like this were at the bottom of their respective categories. Half-elves are versatile with some of the abilities of elves and humans, but their bonus feat is Skill Focus, thus limiting the versatility otherwise enjoyed by humans. Monks need help from feats and archetypes which are not available in the Core Campaign. They lack several key components best left for discussion elsewhere (like here – Pathfinder Unchained: Monk). And players just thought that wisdom was not as important, comparatively, as the other attributes. Annastias the Beloved – Seemingly loved by everyone she meets, the tough, raven-haired beauty Annastias joined the clergy of Sarenrae and then the Pathfinder Society under the tutelage of her cousin. Driven by her thirst for knowledge and the preservation of ancient history, she routinely travels Golarion in hopes to find some obscure lore that the Sapphire Sage, Amenopheus, hinted at finding. Grilayne Ashenoak – An outsider of sorts, Grilayne tries to rally others to his causes. Whether the cause may be calling for the town to present its taxes to the nearby temple of Abadar or for the local magistrate to end a bloody feud, it seems as though he is never welcomed in any civilized stronghold. Practicing a rigorous and unforgiving set of daily disciplines, he uses the ideals of Abadar as a basis for his beliefs. Now, as a member of the Pathfinder Society, he has decided to bring civilization to the heathens of the world, wherever they may be.